If you owe $1000 or less it will most likely make sense to pay your tax bill with a credit or debit card. The interest and fees charged by your bank or credit card company will be less than the interest and penalties charged by the IRS. 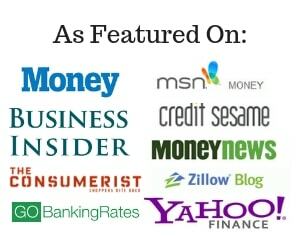 If you owe more than $1000 you will need to take a look at your ability to pay down this credit card debt in a reasonable period of time before making this decision. You must use one of the approved processing companies and there is a fee for this service. 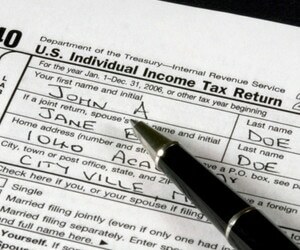 The IRS will give you 6 extra months to file your return if you request a tax extension. To do so, submit Form 4868 by April 15th. A tax extension will help you avoid late filing penalties if you can’t file your return on time. You will still need to pay your tax liability by the original deadline, or interest and late payment penalties will apply. However, you are not required to pay your taxes in order to get an extension. Furthermore, if you pay 90% of your tax liability by April 15, the IRS will waive the late payment penalty. If you are not able to pay the entire tax liability when you file your return, you may request an installment agreement by attaching Form 9465 to the front of your return. If you owe less than $25,000 in taxes, penalties and interest, you may request to pay your tax liability over 60 months. If you owe more than $25,000 in taxes, penalties and interest, you will need to provide financial statements and negotiate directly with the IRS. If you pay through a direct debit from your bank account the $120 installment agreement fee is reduced to $52. The IRS will look at your ability to pay, sources of income, expenses, and any equity you may have in assets in determining whether or not to accept your OIC. Payment options include lump sum or periodic payment. With a lump sum you must submit an initial payment of 20% of the OIC amount. To get an undue hardship extension you will need to convince the IRS that paying the full tax liability you owe will create an “undue hardship.” In other words, you will have to prove that you will have to sell assets at a “sacrificial loss” in order to pay your tax bill. You will also be required to provide security for your tax-debt in the form of a deed of trust, bond, notice of lien, or personal guarantee. During the hardship extension, the IRS won't charge penalties however, you will have to pay interest on the tax that you owe. Should Homeowners Enroll in Bi-Weekly Mortgage Payment Programs? This is causing an anxiety attack by just reading this. I can’t imagine owing the government anything. They take enough as it is. I completely agree that these are the best ways to help if you can’t pay your taxes. The most reasonable and generally accepted practice, if this is the case, is to request an extension. If I were in this issue, I would definitely know ahead of time that I would need an extension, and I do know for a fact that there are thousands of people today who do request extensions. Can you give me a little bit more information on how to undue \hardship extension? I had no idea all these options existed. Luckily, I’ve never owed anything. I’ve never missed paying my tax. But it seems I’ll be late. In fact, the sum is more than $1000 but way less than $25,000. In my case, extension would have been the ideal case but it seems I came to know about Form 4868 way too late as I’m reading it now, way past the last date of its submission on April 15. Now, the only feasible alternative I have is the installment agreement and direct debit. I’ll definitely attach Form 9465. Thanks for the help and most important information I was looking for. A few years ago we were hit with a hefty tax bill. Since we couldn’t pay it all at once, I signed up for an installment agreement and agreed to pay in 3 years (I wanted it paid off sooner than the 5 year time frame). The installment agreement was a real life-saver. We will be finished paying off that tax bill by the end of summer. It feels good to be so close! I hope I never have to experience this, but I would probably just use use my credit card to pay the taxes – unless the amount was absurdly high. I could always transfer the balance to a 0% offer for a time, which would help knock out more of the debt quicker. But like I said, I hope I never have to actually do this. Man I wish Canada offered tax extensions, as I’m up to my eyeballs in work right now. Can’t a spare a moment to get the ball rolling on this issue!